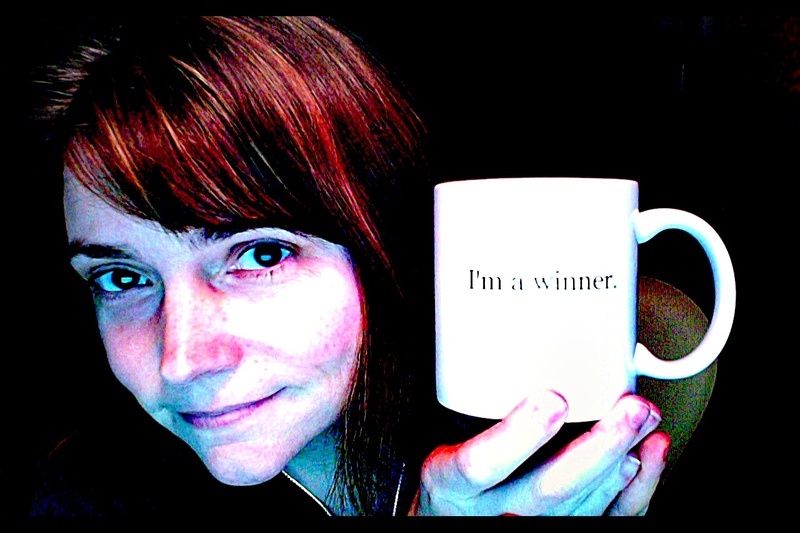 Rebecca Meacham with her Photogene prize. Someone said he’d drunk ten shots. Someone whispered it only took one. Someone said his mom was remodeling the house. Someone said I hope she likes red paint. Someone saw him before it happened, at the choir concert. Someone, a freshman, stood behind him on the risers, the back of his head right there for the touching. Someone forgot the lyrics of the song, staring at the hair curling over his collar. Someone heard that the last song he sang was “Still, Still, Still.” Someone said and now he is. Someone heard he’d used a fake ID at the hockey rink bar. Someone saw his girlfriend there. Someone said she got in Early Decision, Pre-Med, in California. Someone heard he was waiting for hockey scholarships. Someone heard his girlfriend had blown that goalie from South High. Someone could see it, that’s what all her sisters did, those blonde do-gooder sluts. Someone said his girlfriend screamed at him in the parking lot. Someone said he flipped her off and got into Mike’s car. Someone said they hated Mike. Someone remembered when Mike punched the autistic kid in the lunchroom. Someone wondered how anyone so sweet could be friends with dickhead Mike. Someone said he was crying and Mike couldn’t get him to stop crying. Someone asked, crying? Someone wondered how a girl could shatter the heart of a hockey star and baritone soloist with curly hair that smelled like apples. Someone wanted that kind of power. Someone wished they could still dry his tears. Someone heard that Mike pulled up to his house but got worried and followed him inside. Someone heard that his family was away at their cottage. Someone said the gun was in a special locked cabinet. Someone said their dad has one like that. Someone wondered how he broke the lock. Someone heard that Mike called through the dark halls until he heard the bathroom door slam. Someone knew someone who went to a party there Friday and tripped over paint cans in that hall. Someone joked it was a good thing there were tarps. Would someone please stop making fun? Would someone just shut up? Someone said Mike begged him to come out of the bathroom. Someone enjoyed picturing dickhead Mike on his knees. Someone said Mike called the girlfriend, then the parents, then 911. Someone wanted to hear the tapes. Someone said Mike threw every paint can at the door, trying to smash it open. Someone said that must have been so loud. Someone said not as loud as the next sound. Someone said he put the gun in his mouth. Someone said he put it to his temple. Someone said whatever, it worked. Someone wanted to stop talking about it. Why would someone do that? How could someone feel so broken? Someone knew. Someone could hear the silence of the house, the minute after, the morning after—every day was after, now. Someone would have to open that door. Someone would forever be trying. Rebecca Meacham is the author of a story collection (Let’s Do, UNT Press, 2004) and is currently working on her first novel. Her fiction and nonfiction has appeared in various journals, and she directs the creative writing program at University of Wisconsin-Green Bay. She lives in the woods of Wisconsin with her family and gigantic German Shepherd puppy, who enjoys chasing the deer. Sara Hess is a photographer living in Lancaster County, Pennsylvania and earned her BA in Photography from Millersville University. She is a fan of surrealism and is inspired by anything considered unusual, strange, or antique. 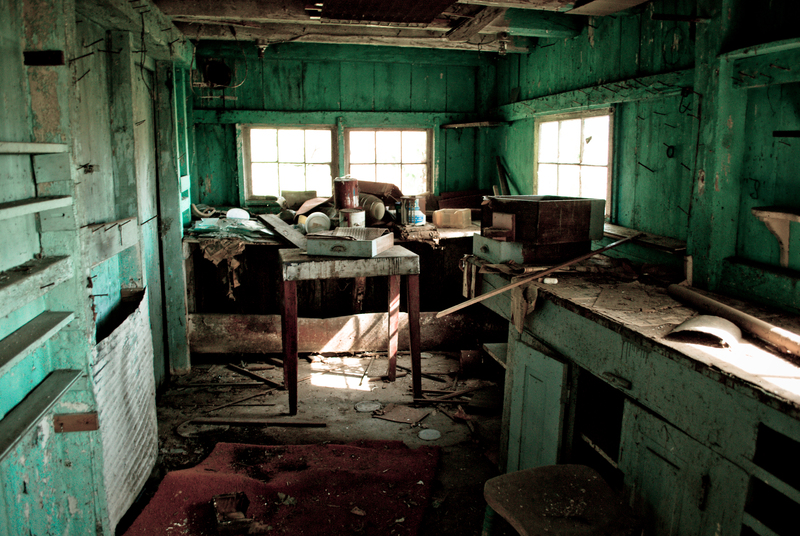 She finds beauty in decay and the abandoned, and her photography is the result of the juxtaposition of those things in nature. More of her work can be found on her website or purchased here.